Unofficially I’m calling this Relief Crew 11 because the idea, info, and most of the fotos come thanks to Paul Strubeck, hearty crewman of Cornell. 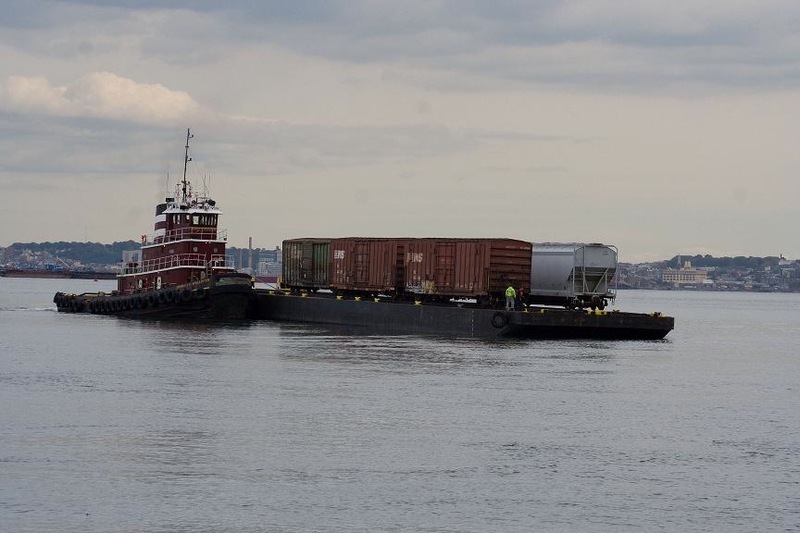 And before looking any farther through this post, quick–tell me the name of a freight rail line that operates in New York harbor, aka the sixth boro. Answer follows. 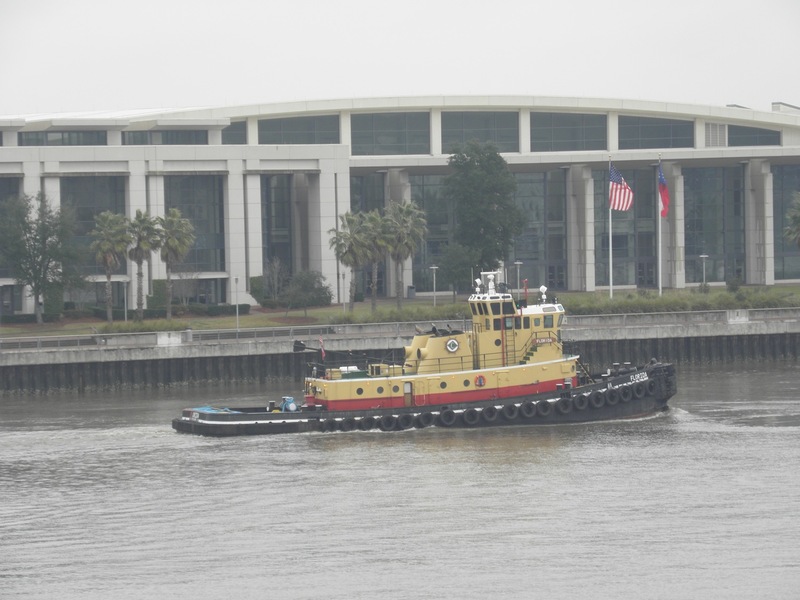 But first, yes, once again here is a foto of Florida, the Crescent tug I misidentified a few days back as Orida. Ok, I’ve said my mea culpas and berated my abilities to look but not see. However, little did I realize that this tug was built in Oyster Bay in 1960 and spent almost 20 years operating in the sixth boro before being sold south. And in what trade did in work in New York, you ask? 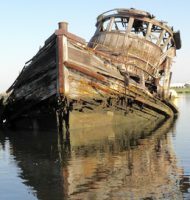 It was carfloating, an enterprise that has shrunk from the days when all the great railroads had their own fleets of tugboats, carfloats, lighters, and barges. Below, John P. Brown moves a carfloat into position with a float bridge, which “bridges” the rails on the carfloat and those on land. 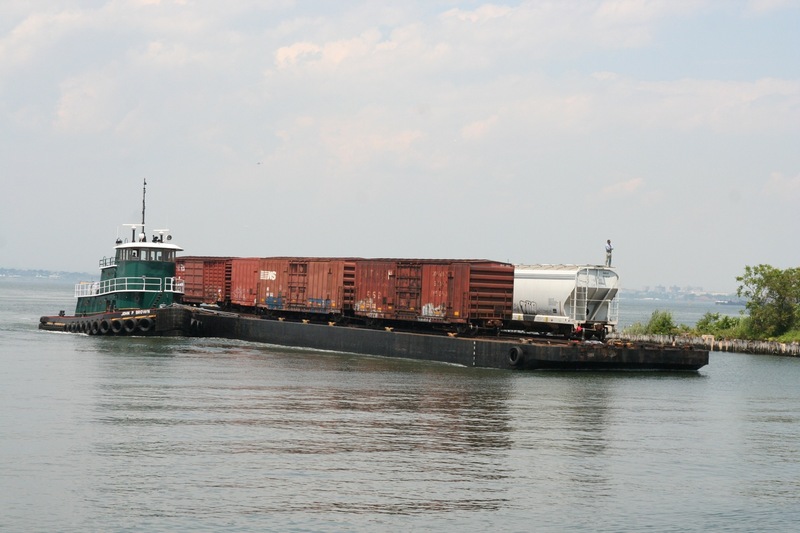 In the past quarter century, carfloating operations in the harbor have been organized as New York New Jersey Railroad (1983–2006) and then New York New Jersey Rail, LLC (since 2006) although since late 2008 this organization has been owned by the Port Authority of NY NJ. And why is carfloating important, you wonder? 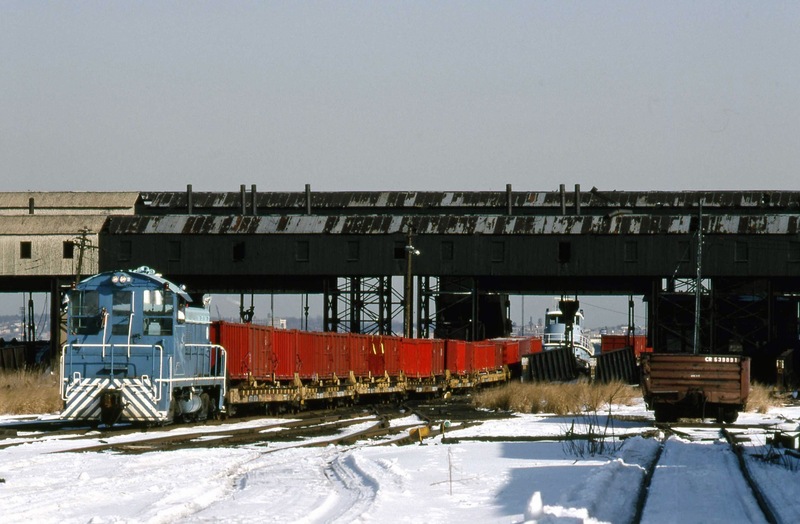 Because without it, freight cars traveling between New Jersey (coming from anywhere else to the west and south) and the eastern boros or Long Island have to travel 140 miles to the north (Selkirk, NY) to cross the Hudson. Or the less desirable alternative, which we have opted for, trucks and the congestion they bring, hundreds of thousands of them per year that used to travel across the sixth boro. Might a rail tunnel exist in the future? 1993 foto below is from Paul’s collection but credited to Carl Perelman. It shows New York Cross Harbor (NYCH) locomotive 59 loading a carfloat in Greenville as Hepburn Marine’s James M. Witte stands by. Paul’s site here contains a wealth of info on NYCH. 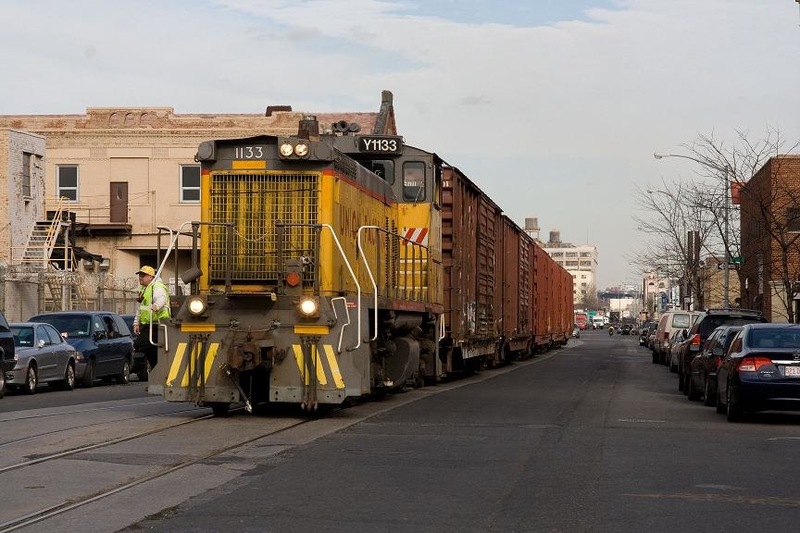 Here NYNJ Rail’s former Union Pacific locomotive operates down 1st Avenue in Brooklyn with a load of cars for the floatbridge. By now you know the name of the freight line that operates in the sixth boro: it’s NYNJR, whose official site can be found here. And why would Crescent choose to rebuild a railroad tug: because they were especially rugged and over-built, mayhaps? Top foto is mine. All others are credited to Paul F. Strubeck unless otherwise stated. Many thanks, Paul. Any errors . . . call them mine. See some great fotos of west coast carfloating here on this blog I just discovered: Oil-Electric.